This topic contains 64 replies, has 24 voices, and was last updated by Azidonis 8 years, 2 months ago. 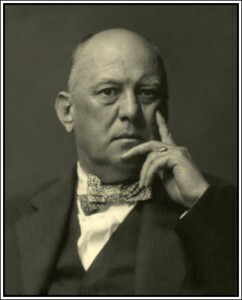 The ending of the woed-the magick of aleister crowley, release 2007. 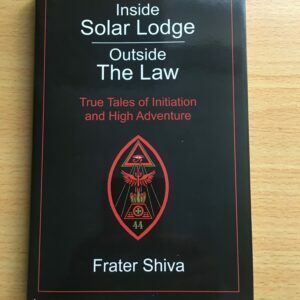 Spotted this on amazon, anyone know anything about this book??? Oliver St. John has a truly excellent short story – ‘The Stone of Stars’ – appearing in the forthcoming issue of Starfire. If the book seems a bit steeply priced, but you’re still curious, it can be downloaded for a catchy £6.66 here. Aside from these errors of research/judgment, the topic seems quite needed and interesting! How horrific, that he should say something unsupported by Crowley. Horrific indeed… This sort of individual probably also possesses a teddy bear named Aleister, just to infuriate true followers such as us. 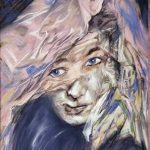 It seems to me that bibs_mcgee is merely saying that the authors are making an assertion about Thelema that they don’t properly justify (regardless of who or what might help justify it). I don’t think the sarcasm is really very fair, nor is it pleasant to see you both jumping up like this against someone who has mixed feelings about the publishing efforts of two of your brethren. However, I’m sure it’s just a coincidence; and you are, of course, welcome to put forward your own view of the book. I think you’re taking the comments by Alistair and I just a little bit too seriously. They were clearly tongue-in-cheek, I would have thought; after all, the use of the shock smilie is hardly indicative of weighty criticism nor of venemous intent. My apologies to bibs_mcgee if he is devastated by my remarks, but I doubt it somehow. His formula [Horus] is not yet fully understood. Following him will arise the Equinox of Ma, the Goddess of Justice, it may be a hundred or ten thousand years from now; for the Computation of Time is not here as There. The figure is that of a young and slender woman poised exactly upon toetip. She is crowned with the ostrich plumes of Maat, the Egyptian goddess of Justice . . .
She is the goddess Maat; she bears upon her nemyss the ostrich feathers of the Twofold Truth. So the identification of Hrumachis with Maat seems well-founded. Hrumachis = Dawning Sun. Liber AL goes on to describe ANOTHER figure, i.e. “and the-double wanded one…” etc. 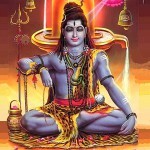 Hrumachis represents the new course of events, and the God of Justice represents the new event. It seems pretty clear that Maat, or Thmaist is NOT a completion of Horus but rather the “next” Aeon. How can the Aeon of Horus start and then 50 years later, Maat comes in? The Aeon has not even begun (relatively) to take hold… The point is that after this Equinox (which Crowley consistently insisted was about 2000 years, correct?) The fact that Maat is the Next Aeon is NOT the position taken here (or by Nema); it is ratehr that Maat somehow “completes” Horus as is Horus himself was not complete (even though he quite explicitly is a complete symbol: he contains all opposites in himself as per the 1st Aethyr of Vision & the Voice). It seems, rather, unfortunately conflated. 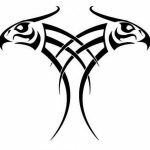 Hrumachis symbolizes any new change of events, therefore Hrumachis coudl be said to have arisen in 1904 as well when THIS double-wanded one (“The Wand of Double Power”), Horus/Ra Hoor Khuit, arose for THIS Aeon. The real point is that there is a difference between saying that Maat is the completion of Horus (which presupposes that Horus is un-balanced and un-completed!) and that Maat will rule the next Equinox when Horus is entirely gone. This wasn’t a synchronised assault Ian, regardless of how it appeared from your end. I in fact only read the opening post and then skimmed down to Staley’s comment and augmented it in a way which I found amusing. My first coffee of the day had just kicked in so I was full of mirth and laughter. My fingers were roving all over the place. I haven’t actually yet read this work but look forward to it. 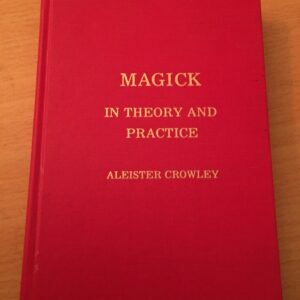 Amidst the pile of AC biographies that are available, a focus on contemporary Thelemic philosophy and magic is sorely needed. Dear Bibs, I’m not so up on things Maatian, but the idea of (Thelemic) Aeons being coterminous and interdependent with each other, conceived in more of a spatial rather than purely temporal dimension, is a perspective that has been evolving since the 1970’s. It’s best not to confuse too much the ‘deity’ representing the Aeon with the new mode of consciousness it somewhat arbitrarily signifies, as a conceptual device. 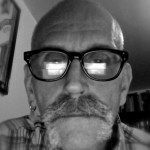 I wonder, bibs_mcgee, if you might engage with the views I have expressed, rather than those you impute to me?
. 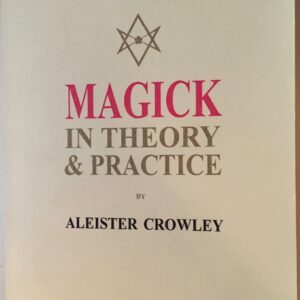 . .(which Crowley consistently insisted was about 2000 years, correct?). . .
. . .it may be a hundred or ten thousand years from now; for the Computation of Time is not here as There. Elsewhere (I don’t recall exactly where) Crowley spoke of the possibility of the Aeon of Horus collapsing after a few hundred years if certain preparatory work was not done. So no, your assertion that Crowley “consistently insisted” that the span of an Aeon was “about 2000 years, correct?” is incorrect. It seems pretty clear that Maat, or Thmaist is NOT a completion of Horus but rather the “next” Aeon. I didn’t maintain that the Aeon of Maat was a completion of the Aeon of Horus. I was merely responding to your inaccurate remark that nowhere did Crowley identify Hrumachis with Maat. I don’t recall mentioning Nema at all, nor asserting that Maat was the completion of Horus. Clearly I’m not the only one here who is not reading closely . . . Indeed – perhaps consistent was not the correct word as there is one instance where he says “Time is not here as There” but contradicts this quite plainly when saying each Aeon is 2000 years. Perhaps these 3 quite clear instances is why I said he “consistently” insisted an Aeon is approximately 2000 years. Sure, and I am telling you that Hrumachis is not Maat – then I went on to say that not only is Hrumachis not Maat but Maat is not the ‘completion’ of Horus but the successor. It seems to me – correct me if I am wrong – that everybody here is referring to the Aeon of Maat without distinguishing clearly (emphasis on clearly) between exoteric and esoteric understanding of the concept. If by the advent of the Aeon of Maat is meant a spiritual experience of harmony that a person may achieve, then it clearly may happen – for that person – at any time. If however the reference is made to the state of humanity OUT THERE – and this seems to me as Crowley’s intended meaning – one should only spend 15 minutes watching news in order to realize that this is NOT the age of peace and harmony but the time of war and vengeance.